If you are a new parent trying to find the best place for your baby to sleep in, you should consider a bassinet. Read on to learn everything you need to know about this comfortable alternative to a crib! A bassinet is a bed for a newborn baby, usually shaped like a basket and set in a fixed frame. Some bassinets are designed to be able to swing freely, to rock a baby for comfort; this specific kind of bassinet is also known as a cradle. Many bassinets have a cover or a hood that you can pull over to shield your baby from light and noise while they are asleep. Bassinets are also portable, meaning that you can move it around the house instead of keeping it in one room, so you never have to be too far away from your napping baby. What’s the Difference Between a Bassinet and a Crib? Bassinets and cribs are both places where newborn babies can sleep. However, there are a few key differences between bassinets and cribs, and they each have their pros and their cons. Cribs are much larger than bassinets, taking up a lot more space in a room. As a result, bassinets are a lot easier to fit into a smaller house or room. 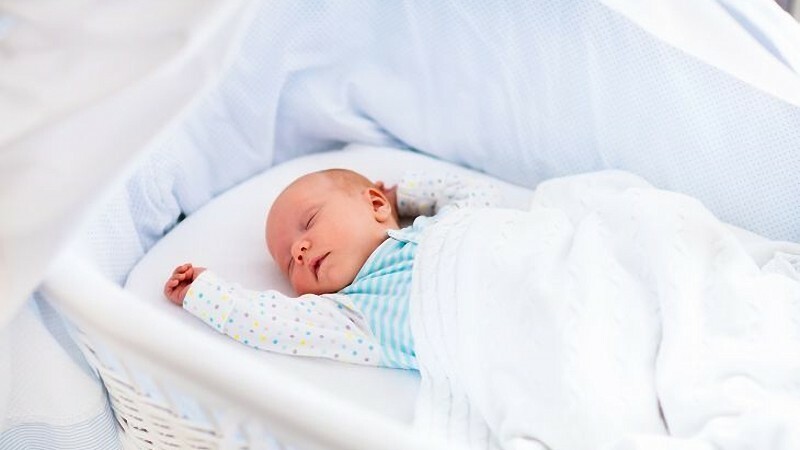 It can also be easier to lean over the railing and place the baby inside of the bassinet, because of its smaller size and lower sides, which is very useful if you are still sore and tired from a difficult birth process. Many bassinets are portable because of their small size and light weight. 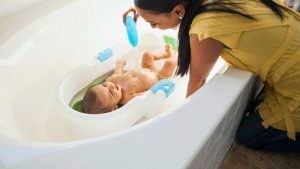 Bassinets are usually very lightweight and also only built to hold a certain amount of weight, the average weight of a baby in their first few months of life. On the other hand, cribs can hold much more weight and are much sturdier, and consequently can be used into early childhood. 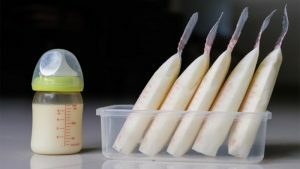 Usually cribs are more expensive than bassinets. 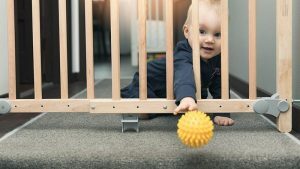 While this can be good for a long-term investment, new parents on a budget may prefer a bassinet until they have saved up enough for a toddler bed. No matter what kind of bassinet you get, and no matter whether you bought it new or used, you should always check the conditions of your baby’s bed before you put your baby into it. The mattress of the bassinet should be flat, firm, and bare. Avoid using sleep positioners or other kinds of extra padding, to avoid suffocation; though they may seem comfy, they can prove dangerous for your baby. Never place the bassinet near a hanging cord or a drape, because those can be strangulation hazards. Always place your newborn baby to sleep on their back! There are a lot of bassinets on the market to choose from. Here are some of the best ones out there! This bassinet is a bit pricey – but that’s because it has so many features! 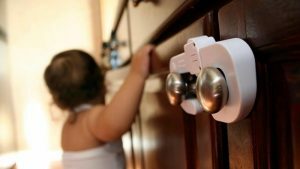 You have a wider budget for baby furniture, you want your baby to stay within reach of your bed while you sleep, and you want to give your newborn baby the works! This sleek, stylish bassinet is simple and natural, perfect to be set next to a shorter bed. You want a simple, natural bed for your newborn without too many fancy features. This bassinet is designed for a life on the go, with a lightweight design, simple set-up method, and a comfortable interior. You anticipate traveling a lot while your child is still young, and want to make sure that you have a comfy, familiar bed available for your baby wherever you go. This bargain-priced bassinet conveniently doubles as a changing table. pull a handle and flip it over to transform it into a changing table – more convenient than attempting to change your baby’s diaper in the bassinet itself! You want to save on baby furniture by getting two important objects in one – a place to sleep and a place to change diapers! This bassinet is full of exciting features, allowing it to rival more expensive baby beds. You are a new parent on a budget who still wants your baby to sleep in maximum comfort. Now you’re ready to choose the bassinet that is perfect for you and your baby!